Meet a set of twins, and one might proudly proclaim that he or she is “the older one.” (Later in life, the younger twin may be the one boasting.) 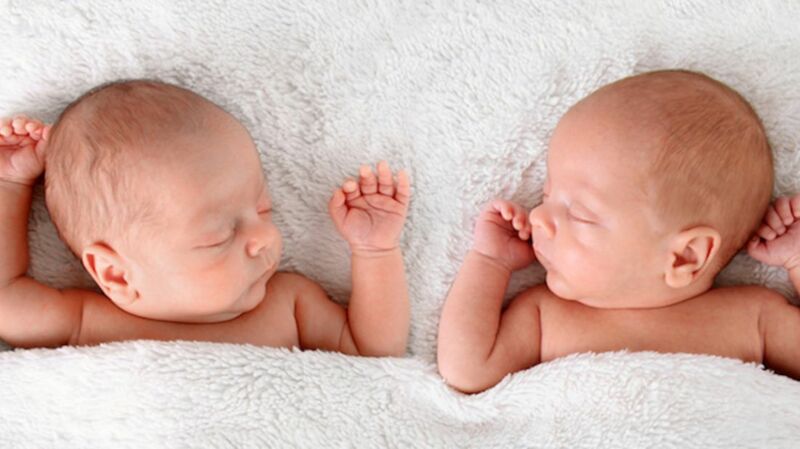 But such distinctions won’t be so clear-cut for Samuel and Ronan Peterson, twin brothers born at Massachusetts’s Cape Cod Hospital last weekend. The confusion? Daylight Saving Time. While not quite a chicken or the egg dilemma, the situation is hardly common. “It’s the first time I have ever seen this in over 40 years of nursing,” maternity nurse Deb Totten said of the twins’ birth order. The boys’ father, Seth, had a feeling the time change might cause a conundrum. “I said, they’re either going to be born on two different days, or the time change may come into play,” he said. Call it twintuiton.